Henderson County Schools is moving full steam ahead on designing and planning the build for the new Jefferson Elementary School. Today the Henderson County School Board discussed construction plans for completely upgrading the new school building to benefit student learning. “The current Jefferson Elementary School was ranked to be in very poor condition, and so we knew especially since our nickel tax that we could invest in excellence,” says Henderson County School public information officer Megan Mortis. South Middle School will be getting some new neighbors. 400 elementary students will be attending classes in a newly built nearly 15 million dollar school building in the coming years. Henderson County School Board officials say they are ready to make the move. A new school will be built in the back of South Middle School’s football fields. A community area is being created to add to student interaction, including media spaces. “Around that will be the classrooms. There will be 18 classrooms, there will obviously be a gymnasium that will have a stage,” says Hafer president Jeff Justice. Technology is a big improvement Jefferson Elementary School is adding to the new building. “It will be very 21st century for our students to learn skills such as collaboration, communication, critical thinking, a lot of steam projects will be incorporated into this new style of learning,” says Mortis. “Smart boards, all of the different technology features that will allow the children to reach out to the world,” says Justice. The new Jefferson Elementary School will be a two-story building visible from roads surrounding the school. “We’ll have some unique modern features also from a curved standing seen metal roof. I think it will be a nice blend between a new 21st century school and the old traditional red brick school building,” says Justice. 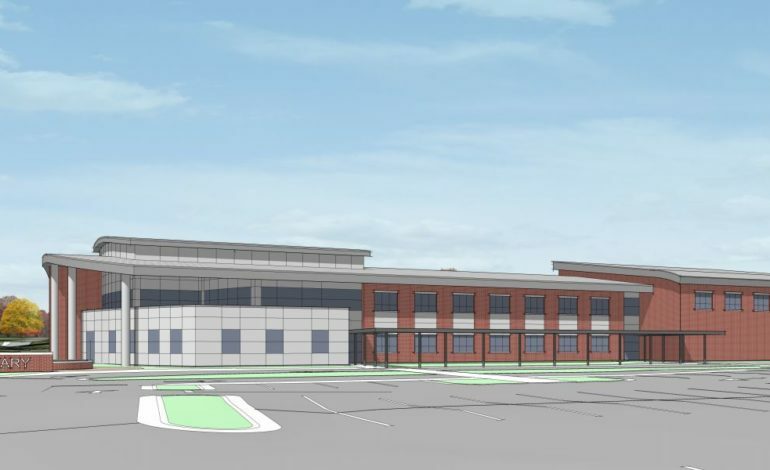 The new Jefferson Elementary School design should be completed by late Spring, early Summer to accept construction bids. A ground breaking is planned in 2019 with an a construction completion date set for December 2020.